During a break, Trevor Noah was asked by an audience member, about his thoughts on Reparations. Should they be for black people ‘only’, or go to everyone in a certain socio-economic bracket. Unfortunately, far too many white people in this nation continue to look for ways not to pay black people back. They just don’t want to make this right, and continue to muddy the conversation. They look around and see poor within the white community and figure blacks are poor for the same reasons. But the reasons for poverty in black communities, is far different than the reasons in white ones. I’ve been talking on twitter, and on SoPoCo about how I’m bothered that there is actual BEEF happening over the ADOS movement. While all benefits that were SUPPOSED to go to Black people; will CONTINUE going to everyone OTHER than black people – I wish that black people who came to this country after the civil rights movement, would stop feeling like they’re being attacked. In many ways they are now joining with white supremacists to make sure black folks don’t get nothing. This clip (above) is from Dr. Claude Anderson, speaking back in the 70’s about black politics. What he says then, has been true until the ADOS discussion. He said black people had no agenda. ADOS gives black people an agenda, and tells politicians this is what WE need from you, to get OUR vote. Got a link to ‘Tone Talks” explaining how ADOS has helped ‘organize’ black people in this nation. We are getting more intelligent about the game of politics. Meanwhile, It’s been disappointing to see Talib Kweli compare ADOS to MAGA. I’m very disappointed in Roland Martin having more love for a political party, than his own people. Both of them are missing the mark with this matter – and that can’t be good for any of us, ‘celebrity black folk’ included. Either way you look at this however, a discussion is well under way. Yvette Carnell & Tone Talks have several politicians bringing the topic up! In that discussion, we are also seeing many democratic candidates trying to dilute ‘who’ reparations should go to. Once again the white moderates are telling blacks, not so fast. So are, the blacks who immigrated here. 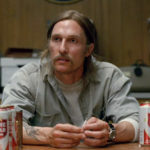 What I enjoyed about Trevor is he realizes that there are differences between ADOS and other black people in America. The stories and paths have been different. This problem of making all struggles equal, has never sat right with me. Not all struggles are the same, neither should be all rewards. 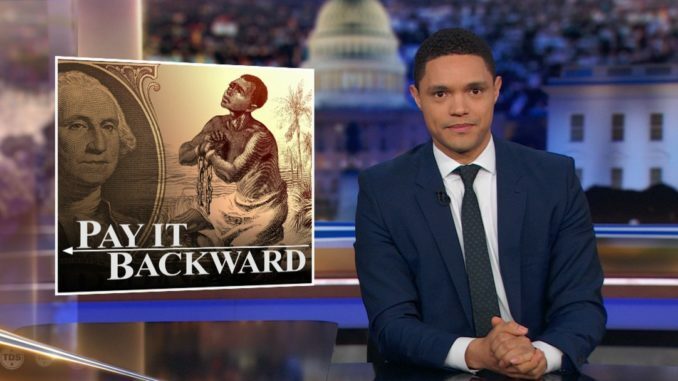 Here is the clip FROM That show, Trevor Noah on Reparations. I love that Trevor points out how white people don’t want to get over losing the civil war, but want blacks to get over slavery. Whites are always suggesting that slavery was so long ago. We haven’t even gotten to 200 years ‘since’ it was over … and it may take us another 50 years to finally overcome it all. The Game of Thrones Dialogue Pulls You in.